With less than eight weeks before the election, the extremist attack in Benghazi, Libya has assumed center stage for one of those weeks. This is a terrible moment for the family members of those killed, and for the United States. For Team Romney, it is also bad. For starters, foreign policy is no longer considered by the public to be a Republican strength. Worse, the Romney campaign’s coordinated response has been to attack the President with a false statement, even as the extremists were acting. This has been widely seen as a destructive act at a time of crisis. From a campaign standpoint, Romney’s actions are not so much a mistake as a recognition that he gets seven news cycles – and in some sense, seven more chances – to change the story. State and national polls will not tell us the effect of Benghazi on the race. Any effect would overlap with the post-DNC bounce. I am reminded of the first Obama-McCain debate, which appeared to be good for Obama, but also came on the heels of the Lehman Brothers collapse on 09/15/2008. Truly the wind was at his back. In my view, this Hail Mary pass won’t be Romney’s ticket. Today let’s look at what would have to happen for Romney to come back and win – and conversely, the electoral limits of how high Obama can get. As I have pointed out before, voters this year seem quite polarized. In the Meta-analysis, the swings in the Meta-margin could be accounted for by as few as 2% of voters changing their minds. This is about half the number that I saw in 2008. In any given week, the sum of the red and blue curves is typically around 2.0%. However, Obama’s Popular Vote Meta-margin range is 1-5%, suggesting that even if all of the “persuadable decideds” went to Romney, Obama would still be ahead by 1%. Who’s left? “Undecided” voters. On another day, I’ll write about the neuroscience of how they might not really be undecided, as I did in this 2008 NYT piece. For now, let’s take them at their word, and assume they could go either way. Romney could get over the top by getting all the persuadable-decideds plus wooing “undecideds” by a ratio of about 3:1. This is a very steep hill to climb. But it is Romney’s only chance. I do not think this is going to happen. In 2004, I made a prediction error by supposing that undecideds break toward the challenger in a 2:1 ratio, and concluding that John Kerry would win. Of course, I was wrong. That year, the result was consistent with a 50-50 split of undecideds. Since then, I have simply left out undecideds from the calculation, which is equivalent to a 50-50 split. What’s the converse possibility, i.e. what is Obama’s ceiling? The realistic maximum outcome seems to be Obama 347 EV, Romney 191 EV. 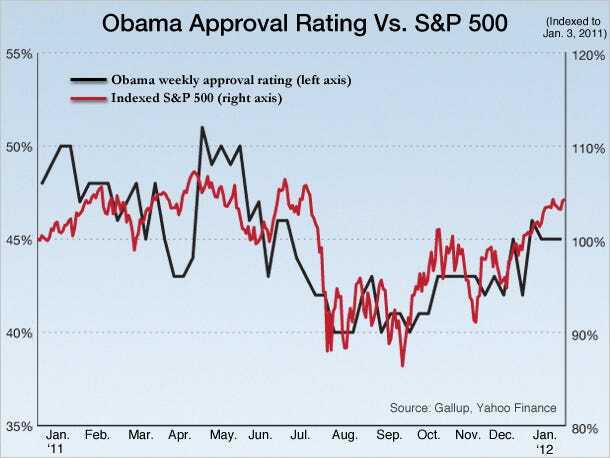 If it goes any higher, it will indicate an unusually big break toward Obama. Thanks to commenters Olav Grinde for pointing out the RAND study and Brian J. Cohen for discussion. In addition to undecideds and switchers there are the discouraged who don’t vote, and the newly energized who do. These days GOTV plays a bigger role than persuasion. 4% undecideds seems pretty low, how does this compare to other elections? I wish I could be as sanguine about the attack line that Obama is an apologist to Muslims- he does seem to lay some blame at the doorstep of the person who made the movie. However, if it does turn out to be a coordinated terrorist attack meant to commemorate 9/11, then I believe Romney’s comments will look worse and Obama will get some amount of sympathy for being an administration attacked by terrorists. Also, how is it that this website is not overrun (unlike most other election sites I visit) with Romney supporters claiming that all the polling numbers are false? Steve in Colorado – If you read carefully, commenters’ preferences are sometimes hard to tell because they focus on data. Also, my own preference is not a mystery. So maybe they don’t like my style. However, any Romney supporter who pops up with a quantitative argument would be welcome. Even a comment along the lines of “the only poll that matters is on November 6th,” though this would make me wonder: why read polls? Come back at a time when Republicans are on top, and you may find fewer Democratic partisans. 2010 comes to mind. Great analysis as always! I wanted to get your fix on recent reports that this election could turn out the way it did for John Kerry in 2004 when he was on top ( Not sure if he was always on top) going into the election but lost. I know it’s too early to pinpoint the effects of the Libya fiasco and what it would do with respect to each candidate. If you’ve spoken of this already then please accept my apologies in advance. Not really a concern but also wondering why Rasmussen has MR up by 1 ONLY one day post bounces for BO. Can someone explain that RAND Corporation figure to me? I don’t understand what “Romney to Obama” and “Obama to Romney” means precisely. I assume it means these are individuals who have identified themselves as being Republican and have shifted their position over to being more likely to vote for Obama, and vice versa, but I am not certain. I read the original web page and I did’t see anything there that clarified it for me. Never mind, I just looked again and now I see it, sorry for the confusion. I am feeling very stressed out at work and having a difficult time focusing. This is a killer piece of analysis. The question “what magnitude of a shift is required” is exactly the right one at this phase. If “winning” all three debates (very unlikely due to format, general press coverage, and the nature of the candidates) won’t do it what’s left? What’s left is doing something seriously “outside the box”–We saw reluctance to do Rev. Wright attacks in ’08 and I wonder if we’ll see them this time. Even desperation didn’t provoke John McCain to go full on Terrorist-Communist against Obama but I wonder what Team Romney will do. That RAND poll is … pretty interesting. If it’s true that people are really shifting that much that’s a big change in movement. I will not that Romney’s 3-day InTrade price has crashed something like 10% to win which is huge. I’m “assuming” it’s because of the 9/11/12 statement but that’s (of course) not a given. I pretty much agree with you. One comment I have is that Romney’s challenge is somewhat different than McCain’s, in that Obama is a known quantity in the minds of many voters. It’s a lot easier to argue that someone would be scary to have as President if they haven’t been President already. Anyone who could reasonably be persuaded that Obama is a Terrorist-Communist has long since decided to vote against him. I would think that going after persuadable voters would require a different strategy than motivating the base. Anyone who is persuadable at this point already knows who Obama is and several of the noteworthy aspects of his Presidency. They probably don’t strongly like or dislike him. I would guess they might want to hear why Romney would be a better alternative to someone who, in their view, is OK but not ideal. Yes–I agree: Romney’s rock is the base and his hard-place is anyone still remaining in the middle. This conundrum, for example, leads to a barrage of fill-in-the-blank generic attack ads which won’t offend anyone (as calling Obama a communist would) and may not persuade anyone either. There’s a whole psychological angle on “persuadable voters” suggesting that they need to be “gently allowed to reject Obama”–even to the point of having an ad literally having a woman break up with a cardboard Obama! Whether or not this soft-touch approach will work is anyone’s guess–but it’s hard-core psych-profile driven so it’s interesting. This is of course very interesting analysis but at this point don’t we need to focus on the ‘swing states’ and not the national polls? What, for example, is the % undecided in Florida? Ohio? Do they track the national polls? Has $500M in TV advertising in the swing states made them any different from the national trends? @baw1064: Ah, but that would require Willard Mitt Romney to spell out his policies — and no matter what he says, he’s either going to alienate parts of his base or persuade the undecideds, once and for all, to vote for the other guy. With the announcement of the QE3, the game is really over for Romney. It is far from over in other elections at the Senate/House/State levels. For many actions, those matter more than who sits at the White House. Yes, his fundamental problem is that anything he does to motivate his base alienates the persuadeables, and vice verse. I can’t speak for Prof. Wang, but 2004 was a very close election, in which the lead changed hands more than once, and it was polling very, very close to a tie in the final week. Still, on election eve, the poll aggregation sites that focused on electoral votes generally had Bush narrowly winning. Prof. Wang even did such a calculation, and made the wrong prediction only because of the false assumption mentioned above, that undecideds would break for Kerry. His poll aggregate gave the correct prediction. A legend seems to have arisen that Kerry had a solid lead in the polls but somewhat mysteriously lost, possibly because of dirty dealing in Ohio. While there may have been dirty dealing in Ohio, the basis for the legend seems to be some early exit polls released on Election Day, which showed Kerry winning. Contrary to popular belief, though, exit polls have all kinds of problems relative to ordinary polls taken on election eve; because of the hard-to-control conditions under which they are taken, there are many ways their sample can be systematically biased. The 2004 election-eve polling was actually quite representative of the actual result. …as for 2012, the polling in this cycle has been nothing like 2004. Obama has been ahead in the EV count all year, with his worst moments being the Ryan bump and the bump when Romney clinched the nomination. The year it’s really resembled, ever since the beginning of June or so, is 2008. Except that Obama’s actually been doing better this time. Paul Ryan made a splash but it wasn’t as big as the one Sarah Palin made. I notice that our friends on the right are these days clinging to the “undecideds always break for the challenger” myth, and perhaps it gives them some cold comfort. I’m waiting for Bibi to try to scramble the election with an October surprise on about late Friday night MDT of October 12 if the election is obviously slipping away from Romney. Dividing this population into groups like undecideds, persuadable-decideds, leaners, stay-at-homes, hold-their-nose-and-votes, etc. etc. can lead you to think these groups are somehow independent. Then a statement like “not only would he have to move group X, but also group Y” sounds far-fetched. We naturally assume that the probability of both groups switching is the product of the probabilities of each group switching. A really small number. But let’s do a thought experiment: Say a black-swan event occurs that pushes leaners to go the other way. Examples: Obama–>Romney could be that bin Landen is alive, the SEALs got his stunt double! Romney–>Obama could be something truly nefarious to do with his taxes. Then we get all the undecideds, persuadables, leaners going the other way. In a correlated fashion. You could get a large jump along the blue line in the plot. I am starting to think the black swan event might be the anti-Islam youtube. But it is not a black swan event that will help Romney, in my estimation, because of his gaffe. If Bibi could have hit Iran, that would have crashed the euromarkets, and that might hurt Obama. American soldiers and NATO workers died in Afghanistan during the Terry Jones protests. I think the correlation between variations in different states is one of the things Nate Silver tries to incorporate into his model, which is one of the reasons his EV spread is larger. This is such a good discussion thread. Iseeurfuture – I am in general agreement with Matt McIrvin on the Kerry v. Bush 2004 race. If you look up its history (see the left sidebar), you will see that the two candidates took turns being in the lead. This year, the up-and-down dynamics look similar – except shifted toward the Democratic candidate, President Obama, by about 40 EV. I think a fundamental reason is that re-election races are not all that variable. This year, the fluctuation is occurring around a midpoint where Obama is ahead. In my view, the outcome has been baked into the cake since July. Things are not looking too good for Romney barring some sort of black swan event in his favor. However, Romney could still swing a narrow win even if things don’t change much in his favor in 7 weeks. Romney needs to win IN and NC and squeeze out wins in WI, VA, OH and FL to put him over the top. A run of the election table. Unlikely but not impossible. Remember that Kerry could have won with a better ground game in OH despite his nationwide popular vote defeat. Here is some fascinating polling showing Obama ahead with likely voters. “In both Florida and Virginia, Obama is ahead of Romney by five points among likely voters (including those leaning toward a particular candidate), 49 percent to 44 percent. It is my understanding that Marist treats cellphones more accurately in their sampling methodology. What if all the cw is wrong? And the cell demographics are actually likely voters in significant numbers? Or maybe this is Romney’s Benghazi gaffe penetrating the electorate. Nate said a gaffe that sticks is a loss of 10 points. somewhat off-topic, there’s a fellow calling himself “Petey” on a thread at Brad de Long’s site (http://delong.typepad.com/sdj/2012/09/if-somebody-could-elucidate-to-me-why-these-two-electoral-vote-maps-are-different-i-would-greatly-appreciate-it.html) arguing by assertion that Sam Wang is a charlatan and Nate Silver walks on water. His argument appears to be mainly hand-waving, but it might be nice to hear a response. I think I know that guy from 2004, when he was an early Edwards supporter. He is unteachable, repetitive, and anonymous. I think he’s still sore because I made a mistake that year. Since that time I have learned. If he cares to, he can read the reasoned arguments in the comment threads here. makes sense. I doubt he has any interest in learning, but I was thinking de Long’s readers might benefit from a counterargument.